Open architecture for full value creation. The mainstays of solvatio® X. 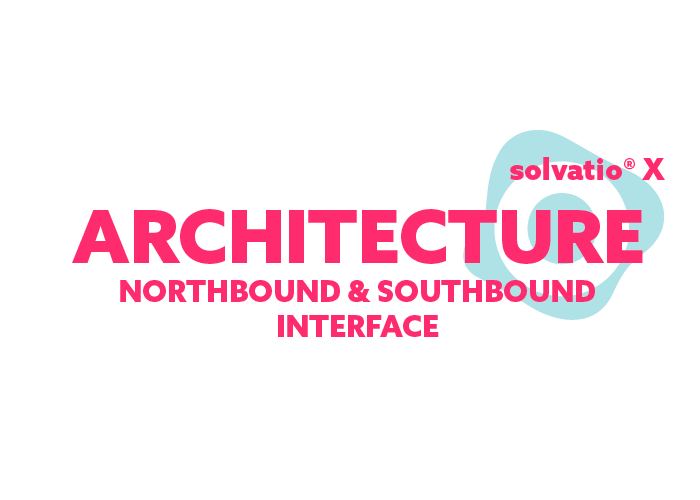 The solvatio® X NORTHBOUND INTERFACE and solvatio® X SOUTHBOUND INTERFACE are essential elements of the software architecture. Both interfaces provide access to the solvatio® X KNOWLEDGE BASE, the brain of the software. 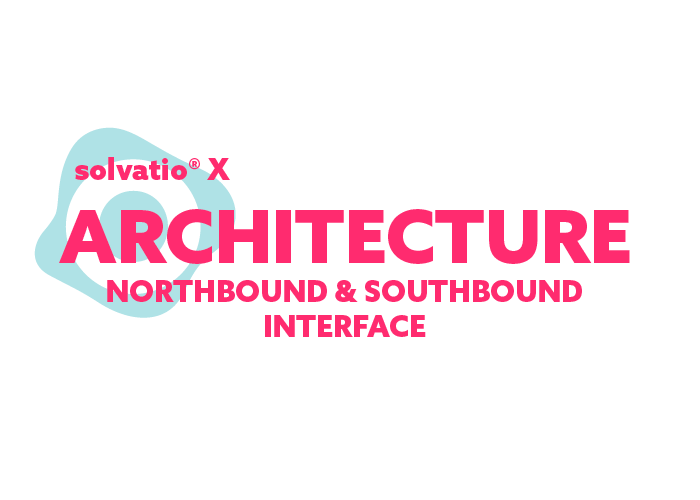 The SOUTHBOUND INTERFACE acts at the backend of solvatio® X, orchestrates data access and forms a powerful data foundation for value-adding use of advanced technologies such as machine learning. The NORTHBOUND INTERFACE, on the other hand, enables communication with the KNOWLEDGE BASE via various frontends, whether for service technicians or end customers. This open architecture enables solvatio® X to be flexibly and extensively integrated into a wide variety of front- and backends. 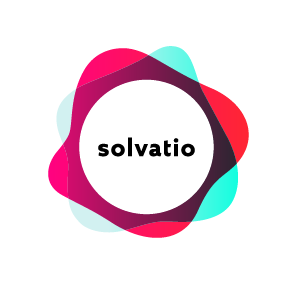 The solvatio® X KNOWLEDGE BASE is the brain of solvatio® X and enables individual, needs-based adaptations of automation content and dialogues. It is up to you to decide how many functions it includes. Learn more about the functionality of KNOWLEDGE BASE. Our solution improves your customer service through machine learning. Learn more about solvatio® X and its versatile applications. The basis: solvatio® X SOUTHBOUND INTERFACE. The solvatio® X SOUTHBOUND INTERFACE is the basis of the software: It can integrate various systems into solvatio® X and thus establish it as a central tool. The connectors interacting with SOUTHBOUND INTERFACE are able to control any data source, whether data lake, services, systems or internal data. If the data sources are REST- or SOAP-based, the solvatio® X INTEGRATION WIZZARD automatically generates connectors and integrates them on the fly. There is no need for manual effort, integration is automated. SOUTHBOUND INTERFACE is data-based and enables machine learning outside of solvatio® X on any data source. This, combined with the possibility of integrating many systems into solvatio® X as the only system, makes the backend even stronger. The SOUTHBOUND INTERFACE is thus the stable and learning foundation for a strong frontend. No matter whether you apply machine learning to internal solvatio® X sources or directly to a big data lake: The KNOWLEDGE BASE and the algorithms available there use AI: This increases the value of the existing data through solvatio® X. Increase the efficiency of your service and get satisfied customers. No matter which channel your customer chooses, your agent uses the solvatio® X OMNI-CHANNEL approach to access a consistent case history across all channels. This provides complete insight into past communications and reduces duplication of effort for agents and customers. A central and learning tool: The solvatio® X SOUTHBOUND INTERFACE enables the integration of many systems into a single system. No matter which channel: The solvatio® X NORTHBOUND INTERFACE provides it with Next Best Actions (NBA): Automation and AI thus become applicable. The solvatio® X NORTHBOUND INTERFACE & SOUTHBOUND INTERFACE use standard technologies: manual effort is reduced and efficiency is increased. The door to communication: solvatio® X NORTHBOUND INTERFACE. The solvatio® X NORTHBOUND INTERFACE is the door to the KNOWLEDGE BASE and enables communication on different frontends. Channels such as Chat Bot or Self Service are connected to solvatio® X via the NORTHBOUND INTERFACE – end users thus benefit from the contents of the KNOWLEDGE BASE. Call agents and sales representatives also have access to the KNOWLEDGE BASE via the interface and helpdesk. The possibility of integrating different channels into solvatio® X increases the range of functions of your existing systems. The integration effort for your channels and clients is low, because the NORTHBOUND INTERFACE is REST-based: Conventional systems are integrated into solvatio® X without major effort. Once the channels have been connected to solvatio® X, it delivers information, dialogues and the results of artificial intelligence in the form of Next Best Action to end customers or agents. The solvatio® X NORTHBOUND INTERFACE thus makes the strong backend applicable. The data exchange between NORTHBOUND INTERFACE and KNOWLEDGE BASE is bidirectional: The NORTHBOUND INTERFACE delivers the NBA of KNOWLEDGE BASE to the interaction systems and receives information in return. Through this exchange of information, the software learns “on the job” and a smart system is created. Our solvatio® X BOT SERVICE not only offers you 24/7 support for your customers and increases the satisfaction with your service. It also gives your agents full insight into past BOT dialogues and derives information from those dialogues for further services. Via the NORTHBOUND INTERFACE, your BOT SERVICE receives content from the KNOWLEDGE BASE. Every company has individual needs. In solvatio® X STUDIO you tailor the range of functions of the KNOWLEDGE BASE to your specific needs. It is the central interface for modelling knowledge and adapting content and flow design. The NORTHBOUND INTERFACE and SOUTHBOUND INTERFACE contribute to the open and flexible architecture of solvatio® X: You can use standard technologies such as REST or SOAP, which ensures easy integration of your existing systems into solvatio® X. Automation and AI are easy to use thanks to the two interfaces: Call agents, field staff and end customers receive immediate benefit at the frontend from an extended range of functions and from the extensive automation of content from the KNOWLEDGE BASE. At the backend, manual efforts are reduced and you can leverage full value from your existing data. The open architecture of solvatio® X enables you to develop the contents of the KNOWLEDGE BASE according to your needs and to build up an efficient tool. Artificial intelligence thus can be applied easily and in value-generating manner. NBA massively reduces the average agent handling time for resolving a customer problem. NBA is based on AI and ML algorithms and learns during operation. The technical support, especially in telecommunications, often includes several hundred solutions for various fault patterns. Based on historic cases and their respective resolution ratings NBA evaluates the best action to solve the customer’s problem.